MINUTES TO POST 2017 | COFFEEBREAKWITHFRIENDS! 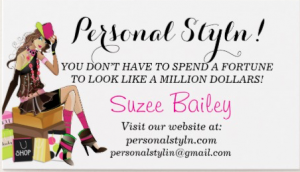 HOME – FASHION – BEAUTY – FITNESS – HEALTH – RECIPES – SPORTS – REAL GOOD NEW! THE THOROUGHBRED HORSE RACING Season! 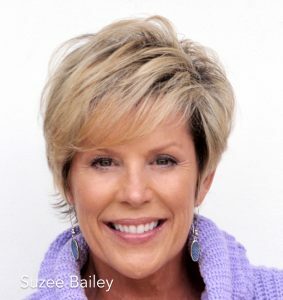 or visit Jerry or Suzee on Twitter or Facebook! 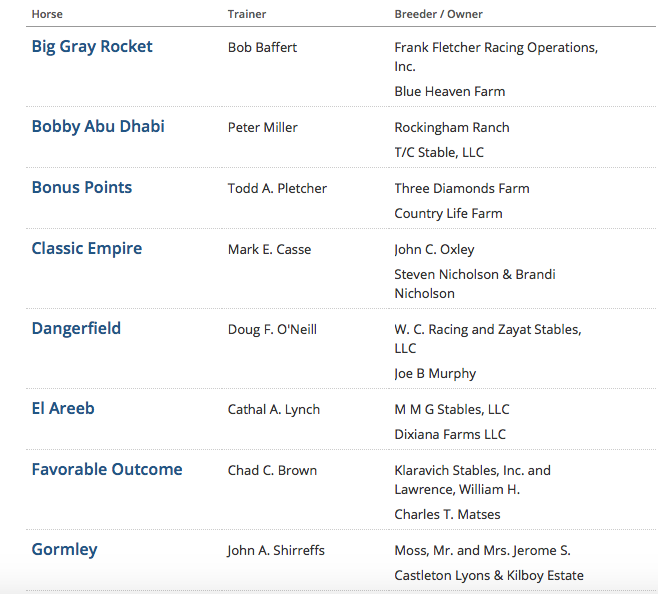 This is a really closely matched group of three-year-olds we have for the mid summer derby this year and to prove that point we only have to look at the rankings. 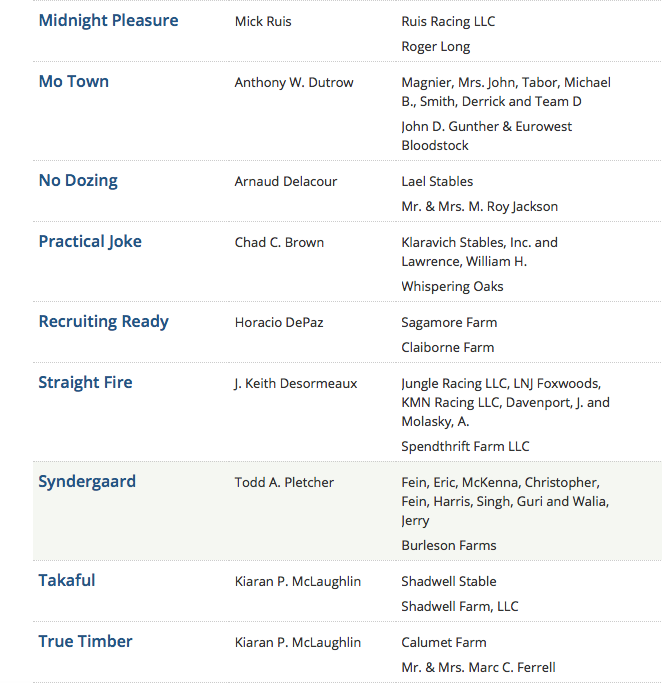 Eight of the top ten rated colts in the country are running in the Travers today. We have all three Triple Crown race winners, Always Dreaming(Derby), Cloud Computing (Preakness) and Tapwrit (Belmont), as well as the Girvin(Haskell winner), Good Samaritan (Jim Dandy winner), Irap(Indiana and Ohio Derby winner), McCraken(the Matt Winn winner and Haskell runner up) and West Coast (the Los Alamitos Derby winner) from the powerful Bob Baffert barn. 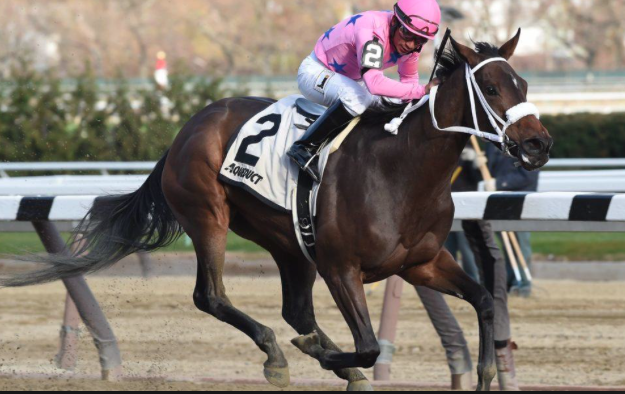 Always Dreaming and Cloud Computing were extremely disappointing in the Jim Dandy and it’s hard to believe they can turn things around in just a month so I’m shying away from them. I have always liked McCraken but he had every chance to win the Haskell and after a bold move from next to last at the halfway mark, he made the lead at the top of the stretch but was caught at the wire by Girvin and since this race adds an additional eighth of a mile, I think he could come up empty late. And although I think the distance will help Girvin, I don’t think he’s quite as talented and a couple of the others(but it’s close and he will likely be in the mix).So that leaves the Belmont winner Tapwrit who hasn’t run since winning that race on June 10 ], which begs the question …Can he beat these horses without a prep race? Maybe..I like him to be in the money but I like West Coast a bit more. Like Arrogate last year, he missed the Triple Crowns races but has the credentials to keep stepping up and Baffert usually doesn’t send horses this far without a chance, and he will like the distance. I will pick him second. The Jim Dandy winner Good Samaritan is my pick. He won his first two races as a two-year-old including graded stakes. He then finished third in the BC last year and was the best horse since he was forced into the middle of the track in the first turn by a competitor. This year he finished two seconds and a fourth all with trouble in those races. The big caveat in all of these afore mentioned races is that they were all on turf. 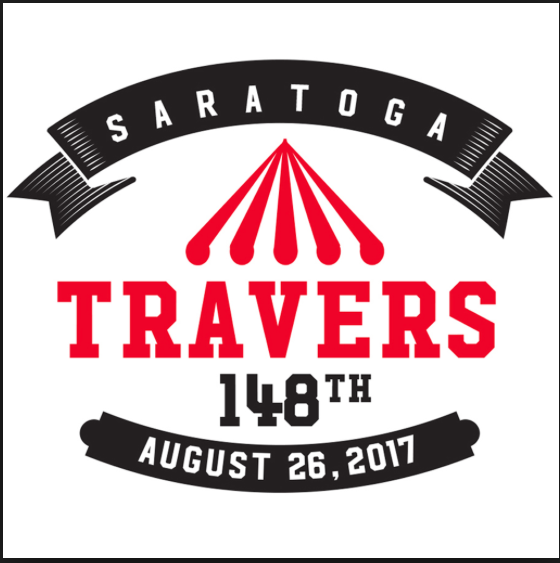 The Jim Dandy was his first dirt race and he improved leaps and bounds, and since he won that race with plenty left in the tank, He is my top pick in the 2017 Travers. I’m with Jerry on this ticket! CONGRATULATIONS TO THE TAPWRIT TEAM! ELMONT, N.Y. – A Triple Crown season that produced three different race winners and ended with a Belmont Stakes that did not include the winners of the Kentucky Derby or Preakness featured one constant, that being the impressive run in the Belmont for trainer Todd Pletcher over the past decade. Tapwrit, ridden by Jose Ortiz, wins the Belmont Stakes by two lengths over the favored Irish War Cry. Pletcher on Saturday won the Belmont for the third time in the last 11 runnings, this time with Tapwrit, a victory that put bookends for him on this year’s Triple Crown, as Pletcher won the Kentucky Derby five weeks ago with Always Dreaming. Pletcher thus became the first trainer since D. Wayne Lukas in 1996 to win the Derby and Belmont in the same year with different horses. Always Dreaming was eighth in the Preakness, after which he got off the Triple Crown trail. Tapwrit, sixth in the Derby, was kept out of the Preakness to point for the Belmont, a schedule that has now produced the winners of nine of the last 18 Belmonts. That number would increase to 10 for 18 if including Rags to Riches, the filly who 10 years ago captured the Belmont five weeks and a day after winning the Kentucky Oaks. She was Pletcher’s first Belmont winner, and he won his second in 2013 with Palace Malice, who was 12th in his Derby before awaiting the Belmont. Pletcher also has finished second in the Belmont five times. Tapwrit ($12.60), the second choice in a field of 11, reeled in the favored Irish War Cry in the final furlong to win by two lengths before a crowd of 57,729. Irish War Cry was second by 5 3/4 lengths over Patch, Pletcher’s other entrant, giving the trainer the first- and third-place finishers in the race. Gormley was fourth, meaning that of the five horses who ran in the Belmont exiting the Derby, four swept the superfecta. Senior Investment was fifth and was followed by Twisted Tom, Lookin At Lee, Meantime, J Boys Echo, and Multiplier. Hollywood Handsome was eased after an incident on the first turn in which he checked badly in traffic, causing jockey Florent Geroux to lose both irons. Keith Latson, the on-call veterinarian for the American Association of Equine Practitioners, said Hollywood Handsome had a laceration behind his left knee that was through the skin. He said the wound would require surgical staples but described the injury as minor. Epicharis, the Japanese invader who had been treated since Wednesday for an injury to his right front hoof, was scratched the morning of the race after failing to pass the prerace veterinary exam. Tapwrit completed 1 1/2 miles on the fast main track in 2:30.02. The win was his fourth in eight starts, with his only prior graded stakes victory the Grade 2 Tampa Bay Derby. He earned $800,000 from the gross purse of $1.5 million to bring his career earnings to more than $1.1 million. As a son of the wildly popular stallion Tapit, though, Tapwrit’s residual value just skyrocketed. Tapwrit was purchased as a yearling for $1.2 million by a partnership that includes John Malone’s Bridlewood Farm, Robert LaPenta, and the Eclipse Thoroughbred Partners syndicate run by Aron Wellman. 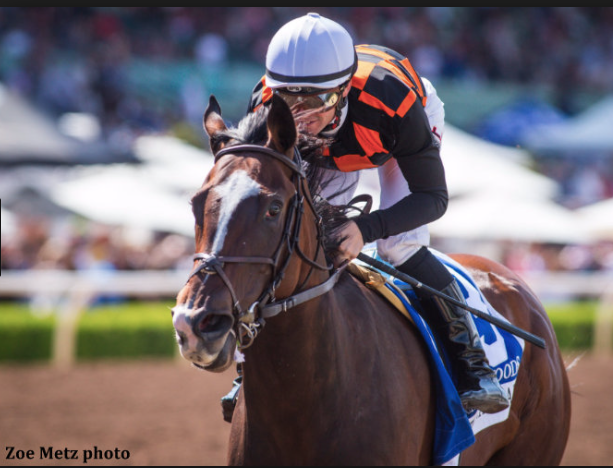 The Belmont was the final stakes on a day that largely belonged to California-based runners. 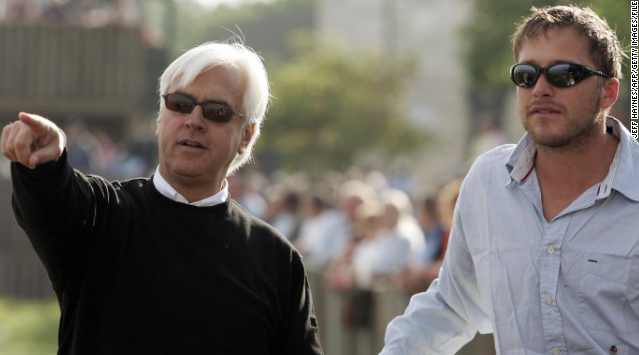 Trainer Bob Baffert won four stakes, including the Met Mile with Mor Spirit and the Acorn with Abel Tasman, and jockey Mike Smith won five stakes, including the Met Mile, Acorn, and the Phipps with the two-time champion filly Songbird. But the home team got the marquee race of the day. Pletcher was confident that both Tapwrit and Patch would fire their best shots. Tapwrit, he said, “ran a sneaky-good race in the Derby” after being compromised at the start when Irish War Cry veered in sharply. Tapwrit broke from post 2 and drafted in right behind Irish War Cry, who led through fractions of 23.88 seconds for the quarter, 48.66 for the half, 1:14.01 for six furlongs, and 1:38.95 for a mile. Jose Ortiz, aboard Tapwrit, was able to get a clear lane nearing the quarter pole and move out several paths from the rail while Irish War Cry hugged the inside under Rajiv Maragh. Tapwrit, perhaps racing in the better footing, proved best late, extracting a measure of revenge on the colt who cost him his best chance at the start of the Derby. The Belmont win was the first for Ortiz in a Triple Crown race and came one year after his brother, Irad, won his first Triple Crown race in the Belmont with Creator. Irish War Cry led for the first 11 of the race’s 12 furlongs but could not last. “I’m very proud of how he ran,” said trainer Graham Motion. “We hadn’t intended to be on the lead. Rajiv kind of went to Plan B. He did a great job. He slowed it down. About the eighth pole, I felt pretty good. But it’s a long way, the Belmont. He ran a very game race. He certainly showed that he’s legit. Pletcher and Wellman had suffered a similar, even more excruciating loss in last year’s Belmont, where Destin – whom Eclipse owns in partnership – droped a nose decision to Creator. A year later, they were on top in the Belmont. For Pletcher, the past five weeks alone provided similar highs and lows, with classic wins in the Derby and Belmont surrounding Always Dreaming’s poor performance in the Preakness. 4. Patch -My sentimental favorite! Tapwrit will try to give Todd Pletcher a second Triple Crown race win this year, following Always Dreaming’s Derby score. race win this year, following Always Dreaming’s Derby score. ELMONT, N.Y. – Todd Pletcher and Chad Brown won the first two legs of the Triple Crown with horses who won’t be in the Belmont Stakes on Saturday at Belmont Park, but owing to the size and depth of their stables, both trainers have a chance to pull off the rare feat of winning two Triple Crown races in the same year with different horses. Pletcher won the Kentucky Derby with Always Dreaming, who finished eighth in the Preakness and subsequently was taken off the Triple Crown trail. He tries to win the Belmont with Tapwrit and the one-eyed colt Patch, both of whom gave futile chase to Always Dreaming in the Derby before bypassing the Preakness. Brown sends out Twisted Tom, who will be the third horse Brown has run in a Triple Crown race this year. Cloud Computing won the Preakness for Brown after skipping the Derby, in which the Brown-trained Practical Joke was fifth. But both Practical Joke and Cloud Computing, like talented freshmen on the University of Kentucky basketball team, were one and done in terms of Triple Crown race participation. Patch, Tapwrit, and Twisted Tom are among the 12 runners who were entered in the $1.5 million Belmont, a race that lost the expected favorite, Classic Empire, on Wednesday owing to a foot abscess. And there were questions on Thursday regarding the status of the Japanese invader Epicharis, who had to be treated Wednesday for lameness in his right front leg, according to veterinary records released Wednesday night by the New York State Gaming Commission. Trainer Kiyoshi Hagiwara on Thursday morning said he was hopeful that Epicharis could make the race. Epicharis did not go to the track to train, but Hagiwara said Epicharis walked at the quarantine barn. Hagiwara said he hoped to send Epicharis to the track for a regular training session on Friday. Epicharis, second last time out in the United Arab Emirates Derby, was heavily recruited by the New York Racing Association, which put up a $1 million bonus for any horse from Japan who could win the Belmont. Epicharis is the only horse in the race who will not use Lasix. The absence of Always Dreaming, Cloud Computing, and Classic Empire – who it can be argued are the top three of this class of 3-year-olds – has given this Belmont a bit of an anticlimactic feel. The morning-line favorite is Irish War Cry, who finished 10th in the Derby. But the card is so stacked with outstanding, Grade 1 races – six in all – that it’s akin to a Breeders’ Cup card, making it a must-see event. The highlights include the return of two-time champion Songbird in the Ogden Phipps, Kentucky Oaks winner Abel Tasman in the Acorn, and wide-open runnings of the prestigious Met Mile and, on turf, the Manhattan, and Just a Game. The Belmont is race 11 on the 13-race card. It is the last and, at 1 1/2 miles, the longest of the American classics. Pletcher and Brown are attempting a feat not achieved in more than 20 years. D. Wayne Lukas won the Derby with Grindstone and the Belmont with Editor’s Note in 1996, and that came one year after Lukas won the Derby and Belmont with Thunder Gulch and the Preakness with Timber Country. In 1970, J.W. 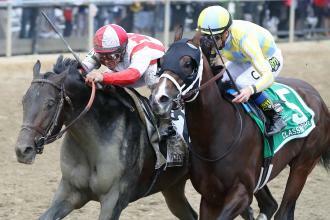 Jacobs won the Preakness with Personality and the Belmont with High Echelon. Pletcher said there’s “no question it’s a different feel than if Always Dreaming had won the Preakness” and thus was going for a Triple Crown sweep on Saturday. He said that loss made Belmont decisions for other horses easier. Both Tapwrit and Patch, like Irish War Cry, ran in the Derby and skipped the Preakness, a strategy that has produced eight of the past 17 Belmont winners. J Boys Echo and Gormley are on a similar schedule. Brown’s entrant, Twisted Tom, did not run in the Derby or Preakness and was not even nominated to the Triple Crown, so he had to be supplemented to the Belmont for $75,000. He enters the race with a three-race win streak, but this is his graded-stakes debut. 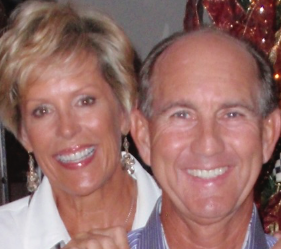 “As the distances have increased, he’s gotten better,” Brown said. Irish War Cry would provide jockey Rajiv Maragh, the comeback player of the year, with the biggest win of his career, only months after returning from serious injuries that kept him sidelined for nearly 16 months. Robby Albarado, who rides J Boys Echo, is also seeking a triumphant return from a less-severe injury, but one that kept him from riding J Boys Echo in the Derby. Lookin At Lee, who will become the only horse to run in all three Triple Crown races this year, seeks to give the team of trainer Steve Asmussen and jockey Irad Ortiz Jr. a second straight Belmont win, following Creator last year. Meantime appears to be the one to catch. He and the late-running Hollywood Handsome are making their Triple Crown debuts after bypassing the Derby and Preakness. Multiplier is adding blinkers. Both he and Senior Investment are back in the Belmont after racing in the Preakness. Post time for the Belmont is listed as 6:37 p.m. Eastern. It will be shown live on NBC during a two-hour telecast that begins at 5 p.m. There is live coverage on NBCSN from 3 p.m. to 5 p.m. The day’s first race is at 11:35 a.m. The forecast from Weather.com is for a high temperature of 82 degrees and only a 20 percent chance of precipitation. with the defection of Classic Empire from the Belmont Stakes. 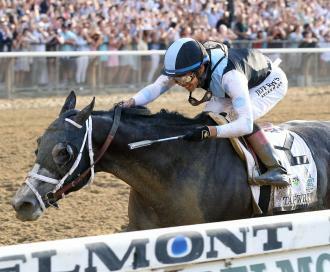 ELMONT, N.Y. – For horseplayers, the unfortunate news Wednesday morning that Classic Empire will miss Saturday’s Belmont Stakes due to a foot abscess cut two ways. 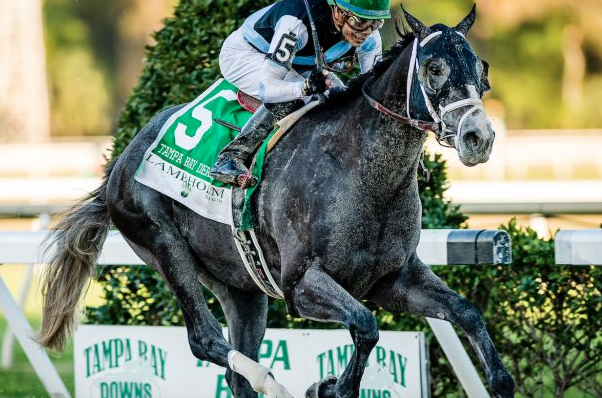 There was one segment of horseplayers who most certainly would have considered Classic Empire the clear horse to beat in the Belmont and would have made him a centerpiece in all their plays. This group would have noted that Classic Empire’s fourth in the Kentucky Derby was a terrific effort, considering how he was mugged at the start, and that he had only one truly representative outing in six months (the Arkansas Derby) after you discount his forgettable Holy Bull, where he was compromised by the same type of foot issue that took him out of the Belmont. 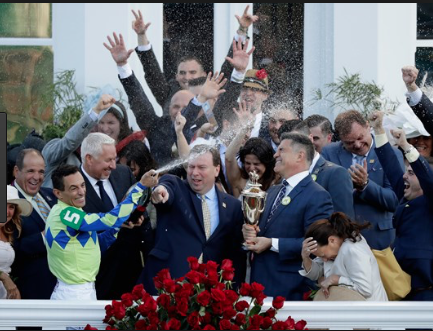 And these horseplayers surely would have felt, with considerable justification, that a duplicate of Classic Empire’s near miss in the Preakness would be plenty good enough to win the Belmont. 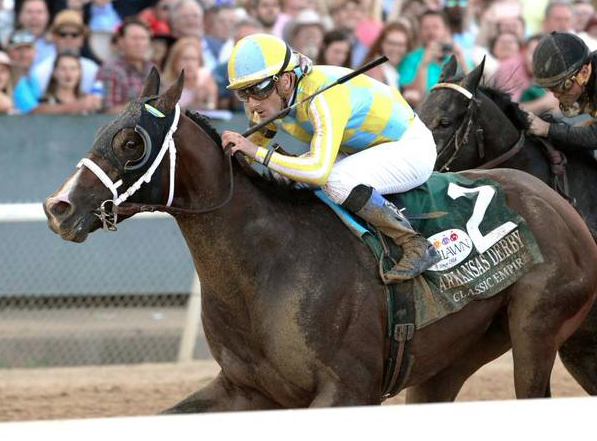 After all, Classic Empire did all the dirty work in the Preakness, racing Kentucky Derby winner Always Dreaming into defeat as early as the midpoint of the far turn, beating him all the way back to eighth, and being “rewarded” by getting nailed in the final stages by Cloud Computing in a nasty, nasty loss. But there was another segment of horseplayers who was eager to bet against Classic Empire on Saturday. It had nothing to do with the quality of his performances in the Derby or Preakness, or his determined win in the Arkansas Derby in April. Instead, the concerns were that the Belmont would have been Classic Empire’s fourth start in eight weeks and the belief that the Preakness had to be a demanding effort for this colt in light of how hard he ran every step of the way. 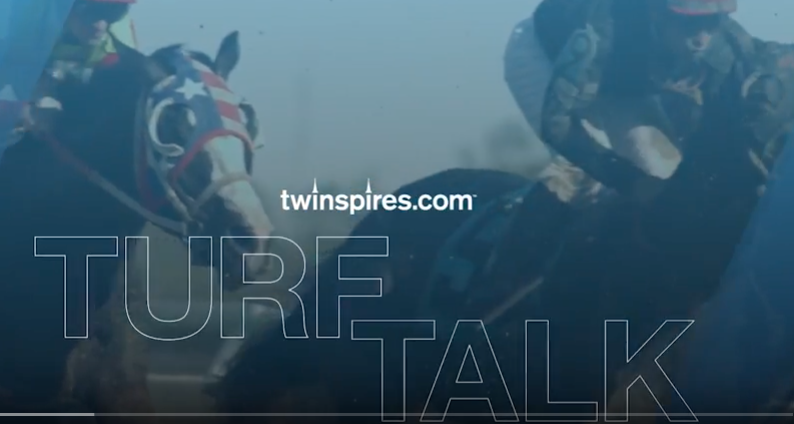 :: Crush the Belmont Stakes with PPs, Clocker Reports, and more! These horseplayers would have concluded that Classic Empire would need to be an iron horse to produce yet another top performance Saturday. Classic Empire was certain to be a solid favorite in the Belmont. But he was vulnerable for the reasons noted, and any race where the clear favorite is vulnerable becomes a great betting opportunity, even the Belmont Stakes. For the record, I was in the latter camp. I feel very bad for Classic Empire and his connections for the rotten luck they encountered during this Triple Crown season, and I’m encouraged that he might actually be back in action as soon as the Haskell. But at the same time, I’m quietly cursing double because not only did I see this Belmont as a spot in which I could bet against and beat a strong favorite, but the horse I was going to beat Classic Empire with now likely will be the favorite instead of the juicier price he otherwise would have been. Yes, I like Irish War Cry. I liked Irish War Cry in the Kentucky Derby and was disappointed when he gave way to finish 10th after pulling a perfect stalking trip. It was a mysterious non-effort, much like his dismal showing three starts back in the Fountain of Youth that still confounds his connections. But I have a hard time believing Irish War Cry is really as bad as he showed in the Derby, especially since his romps in the Wood Memorial and Holy Bull (in which he beat an admittedly below-par Classic Empire but did so by almost nine lengths) were among the best performances by any 3-year-old this year. Irish War Cry bounced back from a poor effort once before. His Wood Memorial came on the heels of the Fountain of Youth, and “all” he did on Wood Memorial Day was beat subsequent Preakness winner Cloud Computing by seven lengths. 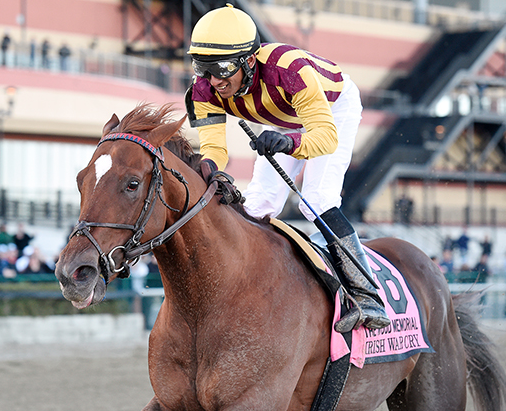 Irish War Cry has the positional speed to work out another sweet stalking trip just off a pace that should be honest, and I feel he deserves the chance to make amends. Gormley is an intriguing horse in this Belmont. He finished a tired ninth in the Derby but at least was involved in the early running. Gormley’s win in the slowly run Santa Anita Derby two starts back took on an improved look when runner-up Battle of Midway came back to finish a creditable third in the Derby, and he should get a good trip similar to Irish War Cry’s. Senior Investment was lucky to win the Lexington two back (No Dozing was best in that one) and essentially clunked up when third in the Preakness. Still, his Beyer Speed Figures are improving, and he will have the chance here to again clunk up and snare a minor share. When the equine stars align, Triple Crown winners like Secretariat, Citation, Affirmed, and American Pharoah have baked themselves into superstardom. But even Belmont’s near-misses of Smarty Jones, Real Quiet, Silver Charm and California Chrome were the devastatingly thrilling events of their seasons. One thing the Belmont does have over the Derby is that it is the oldest of the three Triple Crown events. The Belmont predates the Preakness by six years, the Kentucky Derby by eight. The first running of the Belmont Stakes was in 1867 at Jerome Park, on, believe it or not, a Thursday. At a mile and five furlongs, the conditions included an entry fee of $200, half forfeit with $1,500 added. Furthermore, not only is the Belmont the oldest Triple Crown race, but it is the fourth oldest race overall in North America. The Phoenix Stakes, now run in the fall at Keeneland as the Phoenix Breeders’ Cup, was first run in 1831. The Queen’s Plate in Canada made its debut in 1860, while the Travers in Saratoga opened in 1864. 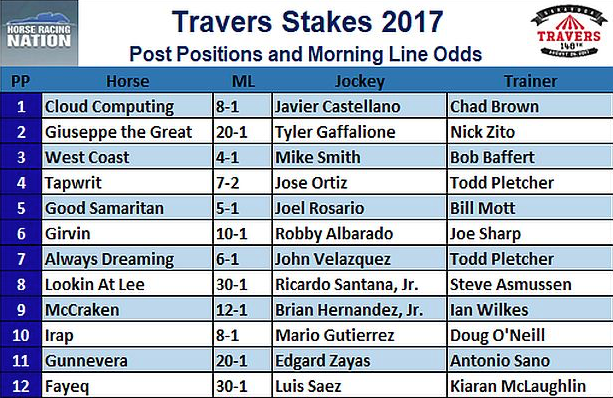 However, since there were gaps in sequence for the Travers, the Belmont is third only to the Phoenix and Queen’s Plate in total runnings. Blocked behind a wall of horses with a quarter-mile to run, WinStar Farm and Bobby Flay’s Creator weaved his way through traffic and used the length of the stretch to reel in Destin and win the Grade 1, $1.5 million Belmont Stakes presented by NYRA Bets by a nose. The margin of victory matched the smallest in Belmont history reached three times prior, most recently in 1998 when Victory Gallop spoiled Real Quiet’s bid at the Triple Crown. Victory Gallop was trained by Elliott Walden, now president, CEO and racing manager of WinStar Farm. LOUISVILLE, Ky. – Classic Empire, the likely favorite for the 149th Belmont Stakes next Saturday at Belmont Park, was sent through his only serious move leading into the third jewel of the Triple Crown, breezing a half-mile in 50 seconds early Friday over a fast Churchill Downs surface. The work was supposed to come in tandem with Airoforce, his Mark Casse-trained stablemate, but Classic Empire started off too far ahead on the backstretch and proceeded to go solo. That was the only glitch in an otherwise routine drill, which assistant trainer Norman Casse was all too glad to accept. “Nothing is orthodox about the way we have to train this horse,” said Casse, who is Mark’s son. Earlier in the year, Classic Empire, owned by John Oxley, was famously reluctant to train as the Casses struggled to make the Kentucky Derby with him. Over the last couple of months, however, Classic Empire has been on good behavior while reascending to the top of his class. 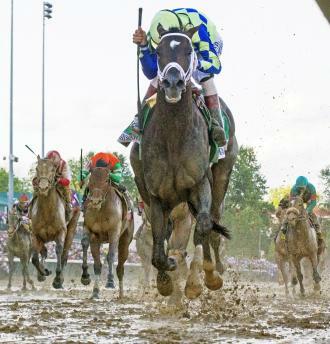 He finished fourth with trouble behind Always Dreaming in the May 6 Derby before being narrowly defeated by Cloud Computing in the May 20 Preakness. Combined with what he accomplished as the 2-year-old male champion of 2016, his feats this year have prompted voters in the National Thoroughbred Racing Association poll to make him the top-rated 3-year-old in North America in the two weeks since the Preakness. 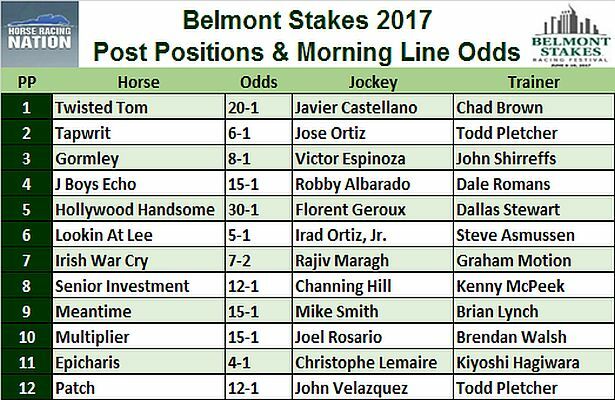 Perhaps more importantly, the Casses are very optimistic about his chances in the 1 1/2-mile Belmont. In a field that could swell to the 16-horse limit, Classic Empire undoubtedly will be favored. The Friday work came shortly after dawn broke at about 6:15 a.m. With regular work rider Martin Rivera in from Ocala, Classic Empire went in splits of 24.60 and 37.50 seconds, according to Churchill clocker John Nichols, with a five-furlong gallop-out time of 1:04. The work didn’t come off as it was drawn up on paper, but Casse quickly waved that off. “The most important thing is we just got it done,” said Casse, who watched from the fourth-floor clubhouse. “You never know when this horse might throw a curveball at you. Even though he’s been good lately, you still worry about it. Classic Empire has worn blinkers in all six of his races since he wheeled at the start of the Hopeful last September at Saratoga, but he was not equipped with blinkers for the Friday work. “We haven’t been working him in blinkers because we don’t really like mixing things up too much with him in the morning,” said Casse. Mark Casse said after the Preakness that he thought Classic Empire might not have seen Cloud Computing closing on him and that he would consider removing the blinkers for the Belmont. But that decision has not been made. “I’m comfortable with it either way,” said Norman Casse. Classic Empire is booked among a large shipment of Kentucky-based horses on a charter flight Tuesday from Louisville to New York. Calumet Farm ran three horses in the Kentucky Derby and two in the Preakness. While Calumet initially planned to run two in the Belmont Stakes, its lone runner will be Patch, the Louisiana Derby runner-up and 14th-place finisher in the Kentucky Derby. Patch was confirmed for the Belmont by trainer Todd Pletcher following a workout by the 3-year-old Friday at Belmont Park. True Timber, Calumet Farm’s other intended runner for the Belmont, was withdrawn from consideration by trainer Kiaran McLaughlin after the horse had to be treated for a temperature Friday. True Timber, second in the Grade 3 Withers in February, figured to be one of the longer-priced horses in the field. Meanwhile, Patch worked five furlongs in 1:01.48 on Friday over Belmont’s main track. He worked in company with Tapwrit, who is also starting in the Belmont for Pletcher. The two went together through an opening three furlongs in 37.06 seconds and got their last quarter in 24.42. Tapwrit, who was going the easier of the two in the work, was always being considered for the Belmont since his sixth-place finish in the Kentucky Derby. Neither horse, according to Pletcher, is an exceptional work horse. Patch ran in the Kentucky Derby off just one win from three starts. He drew post 20 in the Kentucky Derby and got a decent trip early before finishing 14th, beaten 21 lengths by Always Dreaming. He is by Union Rags, the 2012 Belmont winner, and his dam’s sire, A.P. Indy, won the 1992 Belmont. “There’s a lot of pedigree there to suggest he’s bred to get the mile and a half, and I think his style should suit the race well,” Pletcher said. The defection of True Timber, coupled with that of Conquest Mo Money on Thursday, leaves the likely field for the Belmont Stakes at 12. Six of the 12 were expected to put in workouts Saturday at five different locations. That includes Irish War Cry at Fair Hill and J Boys Echo at Churchill Downs. Robby Albarado, who rode J Boys Echo to victory in the Grade 3 Gotham at Aqueduct, got back on horses Thursday for the first time since breaking his leg in April and could ride J Boys Echo in the Belmont “if he’s ready,” trainer Dale Romans told the Churchill Downs publicity department. Congratulations to Team Cloud Computing! BALTIMORE – Chad Brown grew up wanting to be a horse trainer; Seth Klarman always has been into finance. Both have reached the top of their professions by focusing more on long-term profit than short-term gain, and their approach was rewarded gloriously on Saturday at Pimlico Race Course when the lightly raced Cloud Computing won the 142nd Preakness Stakes, a race in which Kentucky Derby winner Always Dreaming faded to eighth. Classic Empire by a head in the Preakness Stakes on Saturday. Brown, last year’s Eclipse Award-winning trainer, never has won the Derby, so the temptation had to be strong to run both Practical Joke and Cloud Computing – both owned by Klarman and William Lawrence – both of whom had enough points to run in the Derby two weeks ago. But since Cloud Computing had only raced three times since his debut on Feb. 11, Brown thought it smarter to give Cloud Computing more time and await the Preakness. Practical Joke was their sole representative in the Derby, and he finished fifth. Klarman, one of the world’s most respected value investors whose successful hedge fund, Baupost Group, has made him a billionaire, also never has won the Derby, but he also never had won the Preakness, a race close to his heart, as he grew up only blocks from Pimlico. He agreed with Brown to run Practical Joke in the Derby and hold over Cloud Computing for the Preakness. The final piece of their winning team was jockey Javier Castellano, who was committed to Gunnevera for the Derby but jumped off that colt for the opportunity to ride Cloud Computing for the first time in the Preakness. And then Cloud Computing stepped up, as they hoped. Though he was the least-experienced horse in the field, he ran like a seasoned veteran right from the start. 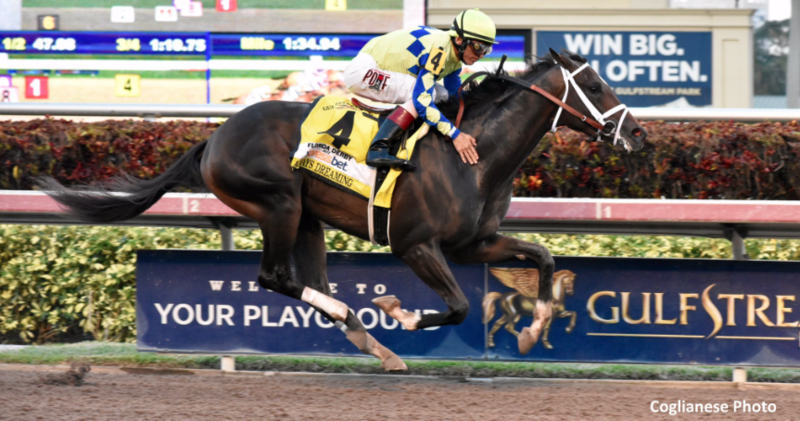 An alert beginning enabled Castellano to get an ideal stalking trip behind Always Dreaming and Classic Empire, who took it to Always Dreaming as soon as the gates opened. Classic Empire got the best of that duel and kicked clear in upper stretch, but Cloud Computing ran him down in the final furlong to win by a head before an announced crowd of 140,327. It was another 4 3/4 lengths back to Senior Investment, then came Lookin At Lee, Gunnevera, Multiplier, Conquest Mo Money, Always Dreaming, Hence, and Term of Art. Cloud Computing, sent off at 13-1, paid $28.80 for $2 to win. He covered 1 3/16 miles on a track rated fast in 1:55.98 and earned $900,000 from a gross purse of $1.5 million. “Classic Empire and Always Dreaming are two outstanding horses, and our strategy was, if we are ever going to beat them, let’s take them on on two weeks’ rest when we have six, and it worked,” Brown said. Always Dreaming and Classic Empire were two of five horses in this Preakness who had run in the Derby 14 days earlier. Classic Empire was fourth in the Derby after being mugged at the start, but he was into the race immediately on Saturday, going right with Always Dreaming. Always Dreaming, the 6-5 favorite, led narrowly through fractions of 23.16 seconds for the quarter, 46.81 seconds for the half, and 1:11 for the first six furlongs, a sharp pace. Too sharp, it turned out, for Always Dreaming, who was starting to struggle under jockey John Velazquez on the final turn. Classic Empire was sent along at that point by jockey Julien Leparoux, and when the field turned into the stretch after a mile in 1:36.63, it looked like last year’s champion 2-year-old male was headed for victory. But Cloud Computing angled out and made up a three-length deficit in the final furlong. “He rode an excellent race,” Brown said of Castellano. Classic Empire likely deserved a better fate, for he had to run hard every step of the way. His journey this spring has not been ideal, with interrupted training and hoof and back injuries, but this was by far his best race since his victory in the Breeders’ Cup Juvenile 28 weeks ago. His trainer, Mark Casse, said he thought Classic Empire might have lasted if Always Dreaming hadn’t faded so soon. “I thought if that horse had carried us a little bit further, we could have been all right,” Casse said. Always Dreaming, who had won four straight races, was returning on two weeks’ rest for the first time in his career and could not handle that nor the early pressure from a top-class rival. “When he hooked us and the horse didn’t respond the way you’d want, I knew then we didn’t have it today,” said his trainer, Todd Pletcher. “He showed in the Derby he’s capable of handling pace pressure,” said Pletcher, adding that “maybe the quick turnaround, maybe a different surface” were reasons for the subpar effort. His defeat ends any hope of a Triple Crown bid in the Belmont Stakes in three weeks, and considering how Always Dreaming ran on Saturday, and how Cloud Computing ran his best race with plenty of time between starts, it’s quite likely that this Belmont will not have the Derby nor Preakness winner. While this was the first win in a Triple Crown race of any kind for Brown, it was the second Preakness win for Castellano, whose only prior Preakness win, with Bernardini in 2006, also came with a horse who skipped the Derby. Klarman had attended many a Preakness before, starting as a youth gambling from the infield. He plays at a different level now, and this win was satisfying not only because of the location but also because he turns 60 on Sunday. “I’m so happy for him because he grew up in this town, Baltimore, and I know it’s huge for him,” Castellano said. Cloud Computing, a son of Maclean’s Music, was purchased for Klarman – who races as Klaravich Stables – and Lawrence as a yearling by Brown and bloodstock agent Mike Ryan for $200,000, reflecting Klarman’s value approach to acquiring horses, as he’d rather have 10 at that price that one at $2 million. Cloud Computing was close to racing last summer at Saratoga before an ankle chip sidelined him for the rest of the year. He did not make his first start until Feb. 11, when he defeated maidens going six furlongs at Aqueduct. He was immediately stepped up to stakes company and finished second in the Grade 3 Gotham on March 4. He came back on April 8 in the Grade 2 Wood Memorial and finished third. “We just ran out of time” to make the Derby, Brown said. For the Preakness, though, time was on their side. Their investment paid off. Thought you all might enjoy this…Jerry had a great time filming these commercials for NBC and the Golf Channel. Jason Day is a wonderful person! So generous with all of his fans. He’s got two new fans now! BALTIMORE – A little more than 60 hours prior to the Preakness Stakes on Saturday, Kentucky Derby winner Always Dreaming stepped onto the Pimlico track at 5:33 a.m. Thursday, ready for his daily exercise. Turned loose from the pony accompanying him, he immediately set out with keen interest for his 1 1/2-mile gallop, looking nothing like a horse just 12 days removed from the biggest test of his career, the Kentucky Derby. For the first and likely only time in his career, Always Dreaming will run back on two weeks’ rest on Saturday. It can be a challenge for any horse in this modern era, where races are often well spaced, an approach that Pletcher has embraced with most of his horses. The Triple Crown, though, requires horses to adhere to the calendar. To get to this point, Pletcher has kept Always Dreaming relatively fresh. By bypassing a series of prep races in stakes and focusing on smaller building blocks, Pletcher gambled that he would have a colt who would produce when it mattered in the Florida Derby and thus would be set for the demands of what lay ahead. To date, it has all gone perfectly. Always Dreaming eased into his 3-year-old campaign by winning a maiden race against overmatched rivals at Tampa Bay Downs. Instead of throwing Always Dreaming into the Fountain of Youth Stakes on March 4, Pletcher ran him in an allowance race that day at Gulfstream against inferior competition. So, when Always Dreaming lined up for the Florida Derby on April 1, he had exactly zero points toward a berth in the Kentucky Derby. The Florida Derby was his one shot to make the field. And when he won, he was in. Five weeks later, he outran 19 rivals in the Derby while earning a career-best Beyer Speed Figure of 102. “To have a vision four or five months in advance and have it work out is very satisfying,” Pletcher said the night of the Derby. The next morning, Pletcher said he believed that running Always Dreaming in consecutive 1 1/8-mile races at Gulfstream gave the colt “a good foundation” for the Derby’s 1 1/4 miles. On Saturday, in the second leg of the Triple Crown, Always Dreaming cuts back 110 yards to 1 3/16 miles, so distance is not a question. 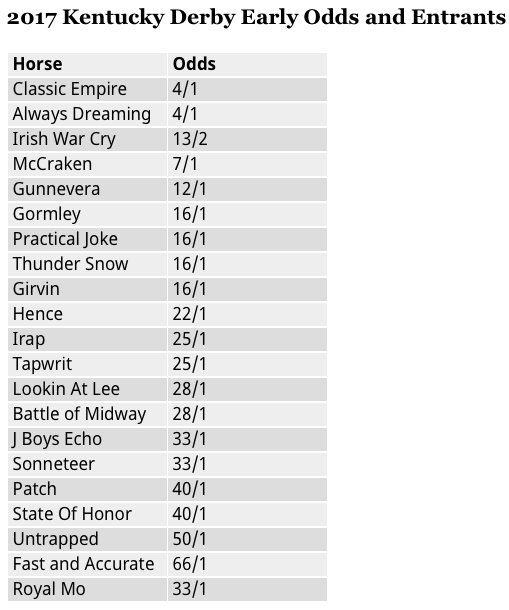 And of the 19 horses Always Dreaming beat at Churchill Downs, only four – Lookin At Lee, Classic Empire, Gunnevera, and Hence – are back to challenge in the Preakness. There are five newcomers to the Triple Crown – Cloud Computing, Conquest Mo Money, Multiplier, Senior Investment, and Term of Art – and with a field of 10, the Preakness has half the number of runners as the Derby. The smaller field hopefully will produce a cleaner race than the Derby, in which several horses – including Preakness runners Classic Empire and Hence – were compromised. Always Dreaming, though, avoided the trouble, the benefit of having a horse with tactical speed who breaks well. Always Dreaming starts from post 4, with Classic Empire – who finished fourth in the Derby after getting wiped out at the start – right alongside in post 5. Classic Empire is probably not as quick as Always Dreaming unless asked aggressively, but it’s likely he’ll want to be lapped onto Always Dreaming from the start. Conquest Mo Money, making his first start since finishing second to Classic Empire in the Arkansas Derby – and supplemented to the Preakness and Belmont for $150,000 – is the pace wild card. He drew the outside post and has the speed to pressure Always Dreaming, or even gun for the lead, a scenario Pletcher has examined in regard to Always Dreaming. “If the situation presents itself and he’s third or fourth or even fifth behind horses, I don’t think it’ll be an issue,” Pletcher said. More important, as in the Derby, is for jockey John Velazquez to get Always Dreaming into a position where his long, loping stride is unencumbered. Velazquez deftly got outside of pacesetter State of Honor in the Derby, turning into the backstretch to be in the clear. If someone else is committed to the lead in the Preakness, Velazquez may have to make a similar move. But it’s entirely possible that Always Dreaming takes up the early running, and his rivals will have to try to overtake him. Classic Empire is the clear second choice. He ran a remarkable race to finish fourth in the Derby after a start that resulted in him being shuffled to the back half of the field in the opening quarter-mile. Cloud Computing should be able to sit a good trip just off the leaders, while Gunnevera, Hence, Lookin At Lee, Multiplier, Senior Investment, and Term of Art all will be hoping a hot pace develops that leaves the leaders vulnerable to their closing charges. Term of Art is adding blinkers. That is the only equipment change among the 10 runners. 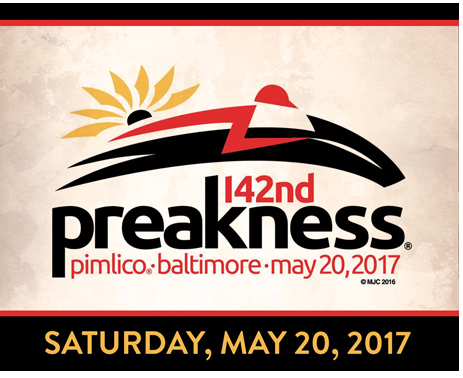 The Preakness, worth $1.5 million, goes as race 13 on a 14-race card that begins at 10:30 a.m. Eastern. Post time for the Preakness is listed as 6:48 p.m. It will be shown live on NBC in a telecast beginning at 5 p.m. Preceding the Preakness are seven stakes races, three of them graded, including the Grade 2, $250,000 Dixie for older grass runners, including World Approval and Ring Weekend, and the Grade 3, $150,000 Maryland Sprint, which includes Whitmore and A. P. Indian. The Maryland Sprint and the Grade 3, $150,000 Gallorette for female grass runners will be shown during NBCSN’s coverage, which begins at 2:30 p.m. It was extremely hot and humid here Thursday, with a high of 94 degrees, according to The Weather Channel, but a thunderstorm predicted for Friday is forecast to result in a gorgeous day Saturday, with a high of 69 degrees and no rain. There is absolutely no reason Always Dreaming cannot win the second leg of the triple crown, but there is also a very good chance that Classic Empire can upset him. Many have said the rail was faster than any other part of the track on Derby day but even if it wasn’t faster, just equally as fast, it’s still the shortest way home so by default it’s the best place to run so yes Always Dreaming had the advantage that day and he may not in the Preakness. However, Always Dreamig was under pressure almost the entire Derby yet still out sprinted all other horses during the stretch run,… and with tactical speed to lead or stalk, AND the best position jockey in the world on his back, it’s almost impossible to be at a disadvantage strategically during a race. He should be 1,2,3 from the outset but keep in mind that only 10 of the last 30 Preakness winners have been 1,2,3 throughout the race. As good of a trip as Always Dreaming had in the Derby, Classic Empire, had a nightmare trip. Slammed hard repeatedly during the first eighth of a mile, he was also farther back than he had ever been and ran 75 feet ( at least seven lengths) further than the winner. If he can get the better Preakness trip from gate to wire, there is no reason he cannot turn the tables on Always Dreaming, but his jockey Julien Leparoux will need to establish his forward position early in the race, and draw the five post I think he should go right after Always Dreaming for the start but Leparoux usually elects to defer in this situation and may likely let Conquest Mo Money pressure the Derby winner early since he has enough speed to do so, and that’s how he runs anyway. The problem with that strategy is that the rider of Conquest Mo Money may not pressure on the leader to the extent needed and Classic Empire may need to go wider just to get around that one. Lookin at Lee and Gunnevera will need a hot pace up front early to have a closers chance. Cloud Computing overcame trouble at the start in his debut to win going away in spite of it, and in his next race he chased into a hot pace in the Gotham but hung on well to be second and other than a little bit of a wide trip in the Wood, he had no excuse other than Irish War Cry ran one of the best preps in the country. Chad Brown was wise to skip the Derby but the question remains is he ready for this? Hence- he was last early in the Derby while three wide most of the first turn, slowly made up ground while in the two path, steadied slightly middle of the last turn then made up very little ground in the stretch. Gunnevera- got caught up in the scrum during the first 1/8 of a mile in the Derby and was pretty wide throughout the last half of the race but was beaten 13 lengths. Senior Investment- only a mild closing kick in his disappointing 6th place finish in the LA Derby but rebounded with last to first flying finish in the Lexington Stakes at Keeneland April 15 and will have has 5 weeks to recover. He will again come from far back in the Preakness for jockey Channing Hill and trainer Kenny McPeek. Term Of Art. Deep closing California invader has been pretty ordinary in his last four starts but puts the blinkers back on for this race in hopes of a wake-up call. Don’t forget to send us your picks! You can talk all you want about how Always Dreaming had a perfect stalking trip in Saturday’s Kentucky Derby. You can snicker all you want about what a cliché it has become when people say that horses with positional speed such as Always Dreaming make their own good trips. And you can lament all you want about how the sloppy track conditions at Churchill Downs over the weekend may have compromised so many horses in the Derby who had no experience on such footing. Always Dreaming had no trouble with the sloppy Churchill Downs track on Saturday. You can do all of that. But I will respond by saying, very nicely, that I don’t want to hear it. Because Always Dreaming was tons the best winning the Derby. He was as deserving a winner as you will see in the Kentucky Derby, and all it takes to understand that is a simple consideration of pace. Why is this list important? Because as Always Dreaming was bounding home in front by daylight, you needed a telescope to find the other seven horses at the finish who were with him early. Okay. Battle of Midway did finish third, but he was beaten a long, long way. The point here is Always Dreaming ran hard every step of the way. The quality of his performance is underscored by the fact that all of those horses who tried to keep up with him early paid a steep price late – a price that Always Dreaming never even remotely thought of paying. Now, the big question is can Always Dreaming come back with another top-class performance just two weeks from now in the Preakness? That is THE question that will be the hot-button topic over the next 14 days. Every horse is an individual, and though he has never been asked to run back so quickly, maybe Always Dreaming will love it. We don’t know that, but we do know this: For all of his incredible success, and for all he does so well, Todd Pletcher, Always Dreaming’s trainer, has not been active or successful at bringing horses back on short rest in top stakes races. In fact, according to Formulator, over the last five years – during which Pletcher has had almost 5,200 starters – he started only two horses in Grade 1 stakes going a route on dirt off layoffs of between only 12 and 15 days. One was Caixa Eletronica, who finished eighth, beaten 13 1/2 lengths in the 2012 Whitney. The other was Dontbetwithbruno, who finished sixth, beaten 28 1/4 lengths in the 2015 Haskell. Always Dreaming was very good Saturday. The Preakness will be another chance for him to do something very good, just in a different way. One final point regarding the Derby. Many people feel that since Always Dreaming and runner-up Lookin At Lee were toward the inside all the way that the rail at Churchill must have been especially good Saturday, like it was on Friday. Not true. Anyone who paid close attention to all of the main-track races Saturday at Churchill knows that the track played fairly. 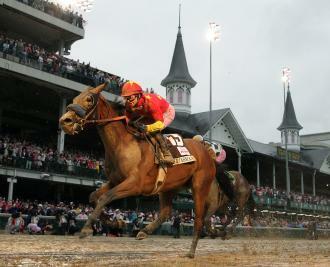 ** Abel Tasman capitalized on a complete pace meltdown to win Friday’s Kentucky Oaks. Others had a chance to capitalize in identical fashion, but to her credit she was the one who actually did. The Oaks is the most important race a 3-year-old filly can win, so Abel Tasman’s victory must at least put her in the conversation on leading members of her division. But that said, I can’t help but think the distinction of divisional leader goes back to one who is currently recovering from a shin issue, and wasn’t even in action Friday – Unique Bella. First, Paradise Woods had a golden opportunity to cement her divisional leadership in the Oaks if she could follow up on her sensationally fast and big score in the Santa Anita Oaks. But she couldn’t (understandably) after being cooked in a speed duel with Miss Sky Warrior that was totally senseless, and completely destructive to the chances of both. Paradise Woods gave way to finish 11th of 14 (Miss Sky Warrior wound up a weary eighth), and there went her control of divisional leadership, for the time being, anyway. Second, Abel Tasman had a crack at Unique Bella in the Santa Ysabel in early March, but was unsuccessful. Abel Tasman did throw a momentary scare into the brilliant Unique Bella when she made a bold run at her in upper stretch. But in a jaw-dropping display that made everyone watching wonder just how many gears she has, Unique Bella instantly flicked Abel Tasman’s challenge aside and went on to win with total authority. Abel Tasman isn’t as good as Unique Bella. I’m also still not entirely convinced Abel Tasman is as good as Paradise Woods without the benefit of a tremendous setup. But we did know that Abel Tasman was not almost 12 lengths inferior to Paradise Woods, the margin she was beaten when second in the Santa Anita Oaks, because she was clearly left with way too much to do in the late stages on that day. And importantly, we now know Abel Tasman is the Kentucky Oaks winner, and all else aside, that’s important stuff. ** When it comes to potential future impact, perhaps the most important stakes on Saturday not named the Kentucky Derby was the Westchester at Belmont. Connect, winner of the Pennsylvania Derby last fall over Gun Runner, and making his first start since winning the Cigar Mile, absolutely dominated the Westchester field, which included the once-heralded Mohaymen. Connect needs only health, and to avoid Arrogate, to be a major player this year in the handicap division. ** With due respect to Roca Rojo and the Churchill Distaff Turf mile, the best turf race for females Saturday was the Sheepshead Bay, also at Belmont. Sea Calisi shocked her opposition with an impressive, outside burst of speed late on the far turn that carried her to a clear-cut score. But as good as Sea Calisi was, second-place finisher Suffused impressed, too. Suffused was caught in a switch you could see coming late on the far turn, and was caught in traffic while Sea Calisi was taking the race by the throat with an unobstructed run. Yet Suffused still chased gamely all the way down to the wire, and showed she’s not that far off Sea Calisi. ** Females also put on a terrific show in the Humana Distaff. Paulassilverlining made the Humana Distaff her second straight Grade 1 score since moving into Chad Brown’s barn (she won the Madison at Keeneland last month) and seems to be in career form. Finest City, the defending champion female sprinter, was a fine second, beaten just a neck. And Carina Mia’s close third was an excellent effort when you consider this was her first start in six months and was spotting all-important recent racing to the top two. ** I’ve been a big fan of Divisidero from very early in his career, and I must admit that after he was set up to run big in his last two starts and failed to do so, I feared his best days were behind him. Well, Divisidero proved he is not done yet when he produced a powerful late surge to win the Woodford Reserve Turf Classic. This was his second straight win in this event, and third straight victory in an undercard stakes on Kentucky Derby Day, so Divisidero also proved he knows what day it is. The way Churchill’s track played Friday had a significant impact on the undercard stakes. Big World’s front-running upset in the La Troienne and Bird Song’s front-running upset in the Alysheba were almost entirely functions of how the track played. I’m still trying to figure out how Bird Song got as completely loose as he did in the Alysheba, considering all the other speed in that race; but he did, and school was out early. But credit should go to Honorable Duty and Romantic Vision, the runners-up in the Alysheba and La Troienne, respectively. Both tried hard against the grain of the track and ran winning races in defeat. They, and everyone else who ran well against the track Friday, should be upgraded in future starts. 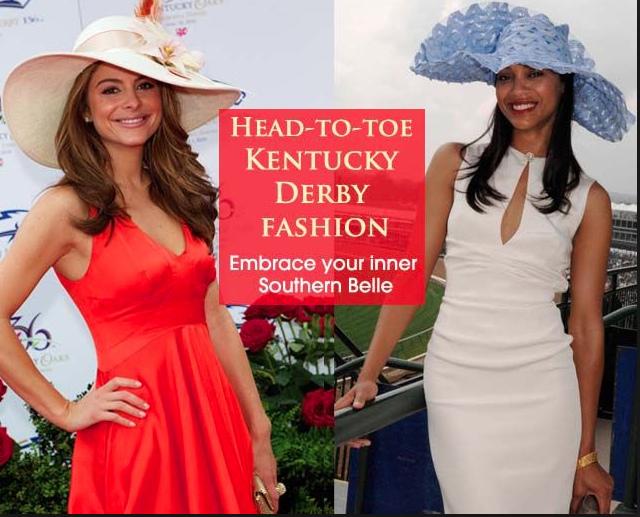 ** The track also had a huge say in the outcome of the Eight Belles. Benner Island, who was cutting back in distance and who previously showed no early speed, rushed up from the one hole under an alert Javier Castellano to dispute the pace. Benner Island showing this surprising speed, even in an Eight Belles without a lot of pace, was evidence of how strong the inside was at that point in the card. Benner Island was lucky to win, however, and not just because she rode the bias. Second-place finisher Union Strike had an opening on the rail in midstretch, which Benner Island closed without fouling, forcing Union Strike to steady and angle out. Despite losing momentum at a critical moment of the stretch drive, Union Strike re-rallied, just missed and was unlucky not to win. ** La Coronel impressed by winning the Edgewood and, for me, not only because she won despite going very wide into the stretch. I just had the sense La Coronel wasn’t entirely confident with the footing in her first encounter with off turf, and think she got up over stablemate Dream Dancing because she’s so darn good. Either way, La Coronel is a beast, and I believe she has even better performances ahead. In a year of mediocrity and inconsistency among the three-year-old colts heading to Kentucky Derby 2017, only one horse has won back to back prep race. There have been no breathtaking performances, as of yet…even last yeat’s two-year-old champion has had a very rocky spring. So my top five this year are very closely bunched in talent…or lack of. Irish War Cry -A prime example of the many horses that couldn’t put back-to-back prep wins together this spring. He won the Holy Bull like a good horse even though he had an easy lead with moderate fractions. He then came back in the Fountain of Youth stakes and flopped badly when he failed to get the early lead, which lead me to believe that he was a one-dimensional “need the lead speed horse”. His trainer Graham Motion did a sensational job of teaching this horse to settle off the early lead leading up to the Wood Memorial and his new jockey Rajiv Maragh coaxed this colt to sit third early which enabled him to finish strongly and get the win in a style he hadn’t shown prior. Classic Empire. The 2016 two-year-old champ has had an upside down spring with physical as well as mental issues that caused him to miss a workout and scheduled races. His 2017 debut was an uninspiring third in the Holy Bull stakes behind Irish War Cry and Gunnevera while getting very upset in the pre-race warm up. His trainer Mark Casse then changed course and scheduled his next race in the Tampa Derby but with a sore back and foot issue, he scrapped that plan . The colt then refused to work on more than one occasion at his home base of Palm Meadows so Casse took him back to the farm in Ocala where he prepared for the Bluegrass stakes but that plan was changed in favor of the Arkansas Derby. He did manage a hard-fought victory in that race and seems back on track but he cannot afford any more setbacks on his way to Derby Day. Always Dreaming- Winner of the Florida Derby, this son of Derby and Preakness runner-up Bodemeister is one of five possible starters from the powerful Todd Pletcher barn. Although he led wire to wire in the Florida Derby, he can easily sit just off the pace should the situation dictate and that race seems to be the strongest of the Derby preps and he gives Pletcher his best chance of winning his second Kentucky Derby and with Johnny Velazquez likely to ride, it would put a bow on their partnership. McCraken- Undefeated until his ordinary third in the Bluegrass stakes, this son of Ghostzapper has lost a bit of his luster in the last two months because of a strained ankle in training that caused him to miss a scheduled start in the Tampa Derby. He surely would have favored in that race based upon his record-setting performance in the Sam Davis stakes a month earlier. Even though he only missed only one workout and that race, he seems very lackluster in the Bluegrass and he would need to train exceptionally in the coming weeks to be a factor on the first Saturday in May. He does have three wins in as many start over Churchill Downs which is a big positive. Tapwrit- It’s hard to know what to expect from this Tapit Coltand at 1.2 million at auction he is the most expensive purchase in the field. Just when I thought he was worth his price after winning the Tampa Derby in record time, he threw in a stinker running 5th beaten 11 lengths in the Bluegrass. 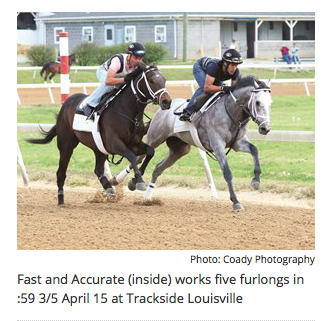 He has however trained exceptionally since then, especially at Churchill Downs. My real concern is that he doesn’t have quick acceleration when running through the middle of the race and with holes and opportunities developing quickly and then vanishing even quicker, it’s really helpful for to have that “push button” burst of speed and his is more gradual. On the other hand, the mile and a quarter lends itself to this kind of style if he can get a clear run from the halfway point in the race without having to check in traffic or go really wide on the turns. How can you not root for Horse competing in this Grand Event with one eye!!! 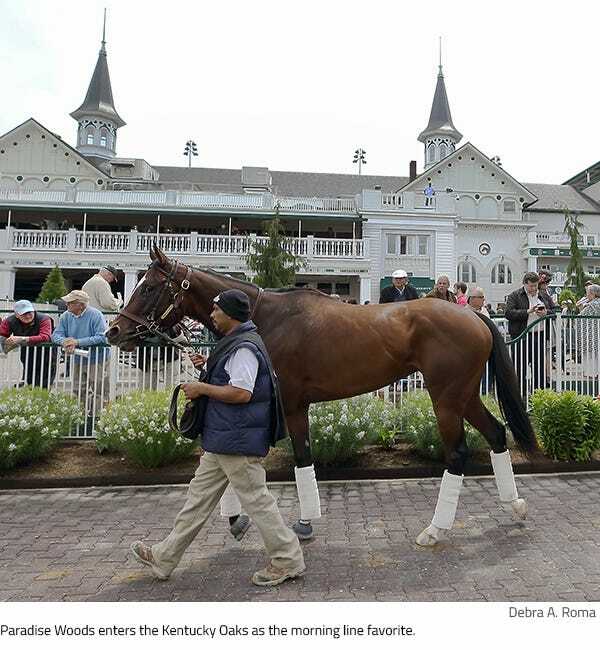 LOUISVILLE, Ky. – Bob Baffert felt a little disappointed coming to town this week without a Kentucky Derby starter. But that empty feeling suddenly vanished Friday when Abel Tasman rallied from far off a ruinous pace in posting a 9-1 upset in the 143rd running of the Grade 1, $1 million Kentucky Oaks at soggy Churchill Downs. Abel Tasman and jockey Mike Smith rally to win the Kentucky Oaks by 1 1/4 lengths on Friday. Abel Tasman returned $20.40 after finishing 1 1/8 miles in 1:51.62 over sloppy going. As the field of 14 3-year-old fillies turned down the backstretch, Abel Tasman, ridden by Mike Smith, was last, having left post 13 in no hurry. Up front, Paradise Woods, the 6-5 favorite, and Miss Sky Warrior, the 6-1 third choice, were dueling in splits of 22.79 seconds, 46.24, and 1:11.42 over the sloppy surface. As they began to tire, well, here came the world. Daddys Lil Darling, like the other top finishers, also closed from well back as a 12-1 chance, finishing 1 1/4 lengths behind Abel Tasman and a length before Lockdown. Vexatious was fourth by another half-length. Daddys Lil Darling, ridden by Julien Leparoux, was passed by Abel Tasman leaving the half-mile pole, then immediately began to tail Abel Tasman as the inside runners were spinning their wheels. Daddys Lil Darling is trained by Ken McPeek, the longtime Kentucky-based conditioner still seeking his first classic win at Churchill. Baffert, based in Southern California, now has won three runnings of the Oaks (Silverbulletday, 1999; and Plum Pretty, 2011) to go with his four Derby wins. Abel Tasman, owned by the China Horse Club and Clearsky Farms, was making just her second start for Baffert. Her former trainer, Simon Callaghan, was deemed the culprit – fairly or not – in a jockey’s silks mix-up prior to the filly’s second-place finish in the March 4 Santa Ysabel that led to her being turned over to Baffert. A bay Quality Road filly bred in Kentucky by Clearsky, Abel Tasman now has four wins and two seconds from seven career starts. Her lone prior stakes win came in the Grade 1 Starlet last December at Los Alamitos when still trained by Callaghan. She was a distant second to Paradise Woods in the Grade 1 Santa Anita Oaks on April 8 in her first start for Baffert. “I’ve got to give a lot of credit to my team, Jimmy and Dana Barnes and everybody else, for getting her ready for this,” said Baffert. Before a crowd of 105,100 that either dodged or endured raindrops for much of the 13-race card, Paradise Woods sped to the lead under Flavien Prat, with Miss Sky Warrior also being sent from post 10 by Paco Lopez. Farrell, the 9-2 second choice, assumed an ideal stalking position from a few lengths behind the top pair, with a sizable gap back to the rest as the field made its way down the backstretch. Nearing the stretch, as Farrell surrendered first and the two leaders soon began to wilt, Abel Tasman had a full head of steam while picking off rivals one by one when kept widest of all. By the eighth pole, she had passed all 13 of her opponents and was gliding clear. “I hit the front a little sooner than I wanted, and I was afraid she’d pull herself up, but she stayed focused and galloped out even better,” said Smith. Lockdown, a 36-1 shot, was splitting horses with an inside run approaching the furlong pole when jockey Jose Ortiz lost his whip, although it’s arguable whether that mattered in regard to his mount outfinishing the top pair. After the top four, the order was Salty, Sailor’s Valentine, Tequilita, Miss Sky Warrior, Ever So Clever, Mopotism, Paradise Woods, Jordan’s Henry, Wicked Lick, and Farrell. Summer Luck, the lone also-eligible, was an early scratch. 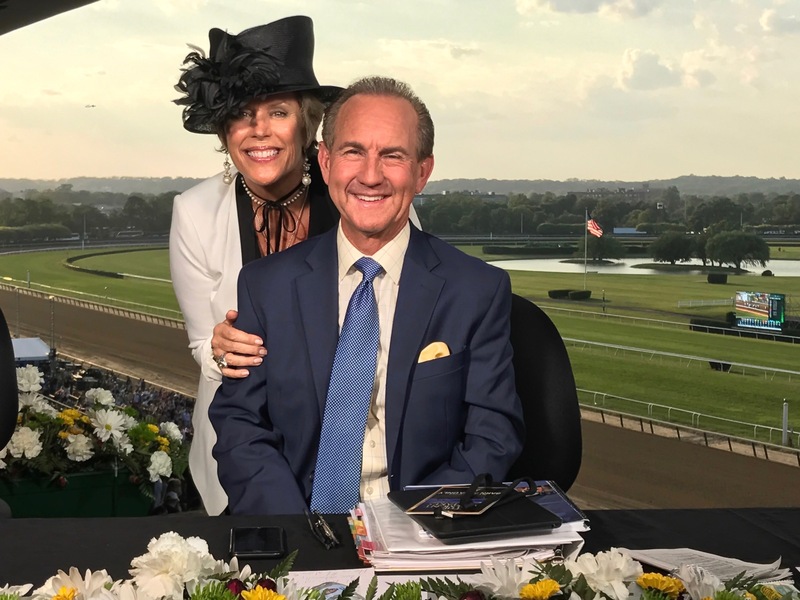 Wayne Catalano, the trainer of Farrell, said jockey Channing Hill told him “she couldn’t handle the track at all,” adding that the filly would be closely inspected for possible illness or injury. 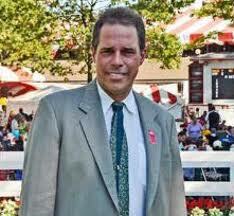 Smith now has won the Oaks twice, with his prior score coming in 2013 on 38-1 shot Princess of Sylmar. The 51-year-old Hall of Famer would have had the solid favorite for this renewal in Unique Bella, the 11-10 favorite in the Kentucky Oaks Future Wager pool offered by Churchill in late February, but she was declared from consideration in late March with a shin injury. 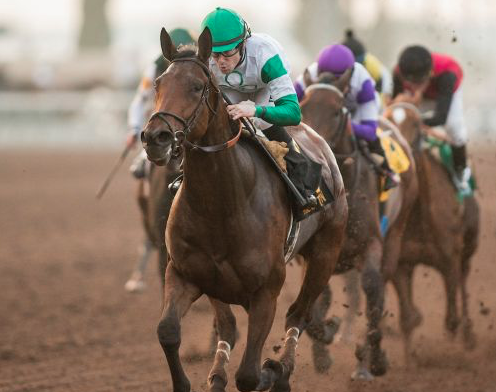 Similarly, both Smith and Baffert might well have had one of the favorites for the 143rd Derby on Saturday with Mastery, but the colt was injured in his dominant victory in the March 11 San Felipe. The $2 exacta (13-12) paid $203, the $1 trifecta (13-12-2) returned $2,863.80, and the $1 superfecta (13-12-2-6) was worth a whopping $85.555.10. The speedy Farrell can be taken back a bit by jockey Channing Hill if necessary, said trainer Wayne Catalano. 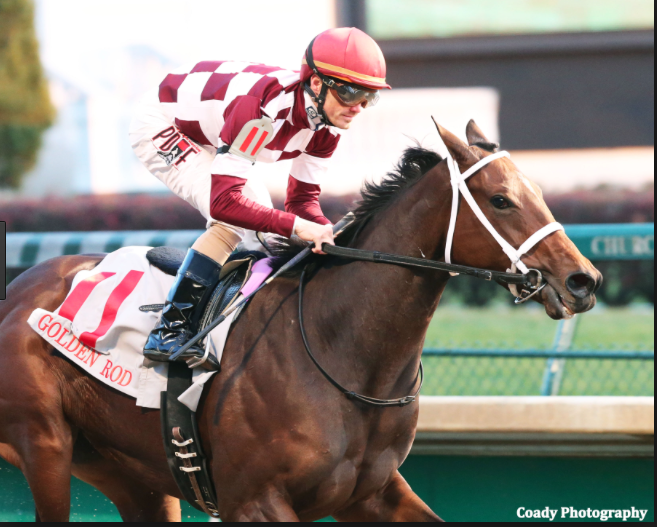 LOUISVILLE, Ky. – Something’s got to give in the Kentucky Oaks. Paradise Woods won her last race by half a block. So did Miss Sky Warrior. Farrell has gone unchallenged in her last four races. Salty, Sailor’s Valentine, Ever So Clever, and Abel Tasman also will bring credentials of varying strength Friday to Churchill Downs, adding to what shapes up as a terrific 143rd running of the Grade 1, $1 million Kentucky Oaks. Paradise Woods, off her spectacular 11 3/4-length score in the Santa Anita Oaks, will come favored in an oversubscribed field that will be limited to 14 starters. Summer Luck is the lone also-eligible and can run only in the case of a defection prior to scratch time of 9 a.m. Eastern Friday. Flavien Prat, the hottest young rider on the Southern California circuit, will be aboard when Paradise Woods breaks from post 4 in the 1 1/8-mile race. The speedy daughter of Union Rags has struck a grand appearance since arriving here early in the week from the West Coast. Miss Sky Warrior, another filly with exceptional speed, has trained right along since arriving here April 17 following a 13-length romp in the Gazelle at Aqueduct, her fifth straight victory. Early tactics figure to be critical to the Oaks outcome, given the abundance of speed signed on. Paco Lopez will be aboard Miss Sky Warrior for trainer Kelly Breen when she breaks from post 10. Catalano also believes that jockey Channing Hill, his son-in-law, will push the right buttons aboard Farrell (post 7) as the race unfolds. Farrell won the Golden Rod at Churchill last fall, her first of four straight stakes wins. Still, if the fractions are too demanding, leading the favorites to get leg-weary down the stretch, the Oaks could then dissolve into a free-for-all. A handful of fillies appear capable of capitalizing under the right circumstances, including last-out winners Salty, Sailor’s Valentine, and Ever So Clever. “We need pepper,” trainer Mark Casse said in a clever play on words in regard to how he’d prefer a hot pace ahead of Salty, the winner of the Gulfstream Park Oaks. Ever So Clever has shown an effective kick on several occasions, including in the Pocahontas here last September and in winning her last start, the Fantasy at Oaklawn Park. Abel Tasman, one of the division leaders through much of the prep season, will be equipped with blinkers for the first time as she looks to make amends for her distant runner-up finish in the Santa Anita Oaks. She is trained by Bob Baffert, a two-time Oaks winner with Silverbulletday (1999) and Plum Pretty (2011). The balance of the Oaks lineup comprises Daddy’s Lil Darling, the Ashland runner-up; Lockdown, the Gazelle runner-up; Tequilita, the Gulfstream Park Oaks runner-up; and longshots Mopotism, Jordan’s Henny, Vexatious, and Wicked Lick. 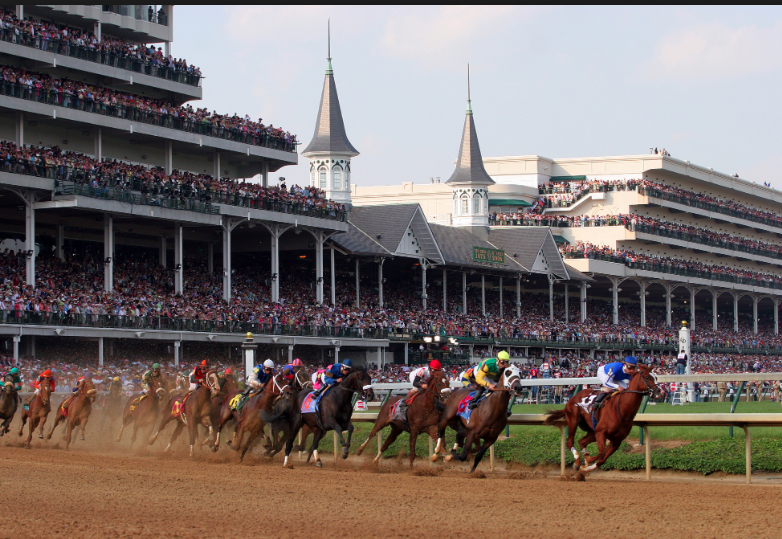 Rain and highs in the low 50s are expected to envelop a crowd of more than 100,000 here Friday, but that will do little to suppress the collective mood on what is known as Derby Eve and Louisville’s Day at the Races. The Oaks is the focal point of a full day of celebration and anticipation, with the familiar “Pink Out” being further accentuated this year by every Oaks jockey being attired in pink riding pants. Churchill has integrated the pink theme as a popular Oaks Day staple in heightening awareness of breast-cancer research and fund-raising. 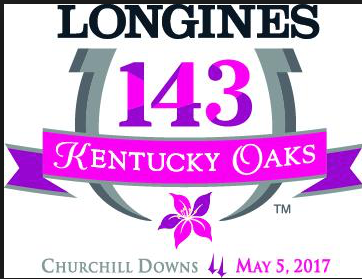 The Oaks is carded as the 11th of 13 races on a Friday program that starts at 10:30 a.m. Eastern. 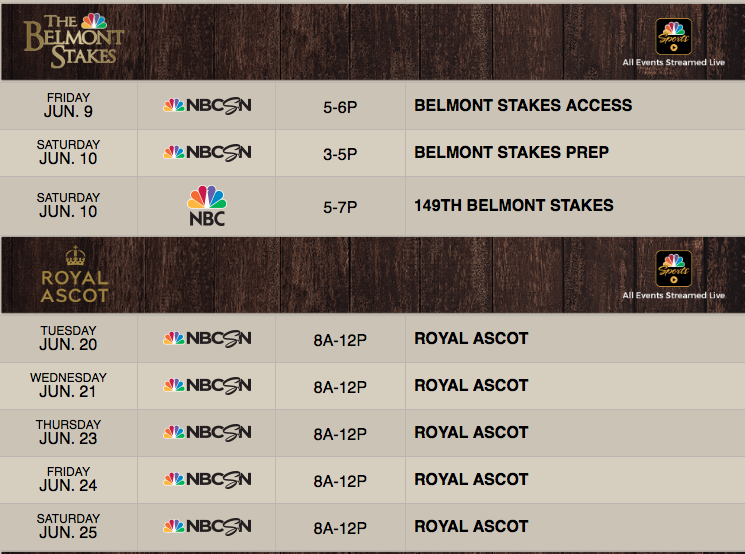 Post time for the Oaks is 6:12, with full television coverage provided by NBC Sports Network. Five other graded stakes precede the Oaks: the Grade 1 La Troienne (race 5), the Grade 2 Alysheba (race 6), the Grade 3 Twin Spires Turf Sprint (race 7), the Grade 2 Eight Belles (race 8), and the Grade 3 Edgewood (race 10). 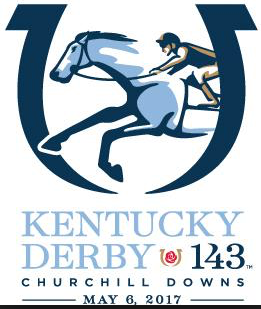 The Kentucky Oaks was first run the same year as its big brother, the Kentucky Derby, in 1875. Through the ages, the Run for the Lillies has been won by some of the true greats, from Modesty (1884) and Alcibiades (1930) to Susan’s Girl (1972), Bold ‘n Determined (1980), Open Mind (1989), and Rachel Alexandra (2009). Cathryn Sophia, ridden by Javier Castellano, was a 2 3/4-length winner of the 2016 Oaks for the Cash Is King Stable and trainer John Servis. 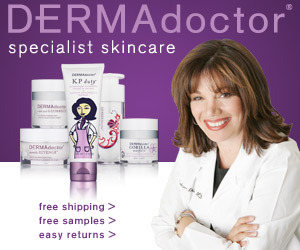 Check back often since this list may change! Until a month ago there was only one three-year-old filly to talk about and that was Unique Bella, but with her injury, the field has a lot of parity. There were a couple of WOW performances of late and some lightly raced fillies with tons of promise which should make for a very competitive Oaks and although the star in on the sidelines, another one could easily emerge from this year’s race. This filly by Belmont winner Union Rags comes off one of the best performances by any three- year= old this year male or female in her Santa Anita Oaks win. In fact, I’m wondering if she ran too fast in her Oaks prep which was only her third career start after breaking her maiden on March 11. She went straight to the lead in the 7 horse field and won by almost 12 lengths. Trained by Richard Mandella and ridden by the red-hot Flavien Pratt, she figures to be one of the top choices on the day preceding the Derby. Another who comes off a dominant win in her Oaks prep while winning the Gazelle by 13 lengths while merely galloping at 80% through most of the stretch. Although she rated just off the leaders in the Davona Dale at Gulfstream Park, her only other start this year, she has typically used her speed to win the five of her six- lifetime starts. She’s the only one in the field that has already won (twice) at the Oaks distance of a mile and an eighth. With a past performance that reads just like Paradise Woods, this daughter of Quality Road didn’t start as a two-year-old and had only three-lifetime races but won the GP Oaks after breaking her maiden around one turn. Although not as impressive as PW in her latest win, she has certainly matured with each start and unlike the top two, she would appreciate a fast pace up front early to compliment her come from behind style. She is trained by Mark Casse and ridden by 2013 Kentucky Derby winning jockey Joel Rosario. Along with Miss Sky Warrior. she has the most lifetime wins in the field with five, along with a four-race win streak which includes the Fair Grounds Oaks in her last race. Although she has yet to show the brilliance of some in here, she has the most versatility of the top five. She is basically a speed horse that rates in second or third depending on the way the race sets up. She is trained by Wayne Catalano who won almost 1800 races as a jockey and over 2500 as a trainer including three Breeders Cup races, and she is ridden by Channing Hill. Looked like the heir apparent when Unique Bella was sidelined as she gave that one all she could handle in the Santa Yesabelle finishing second, but this Quality Road filly was a bit of a disappointment in the Santa Anita Oaks in her final prep before heading to Kentucky. In that race where she was off slowly and was even slower to get into the mix, which made it impossible to challenge Paradise Woods who ran lights out. 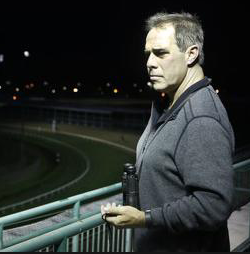 There was nothing I saw Thursday morning to alter my thoughts in either of the marquee races so without any further ado let’s get down to the final thoughts and selections on this years Oaks and Derby. 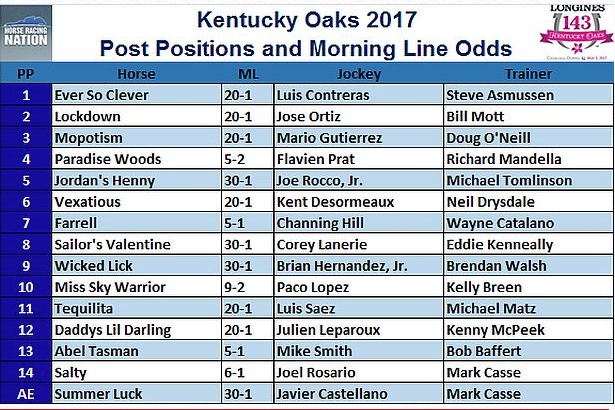 My Oaks selection is going to be the chalk Paradise Woods. Two moths ago after the Las Virgines Stakes at Santa Anita it seemed this race was a near certainty for the freak filly Unique Bella but her troublesome shins resurfaced and the race, for a while, appeared wide open. Then they conducted the Santa Anita Oaks and we witnessed a coming out party for Paradise Woods. I was shocked when she didn’t win on debut, but many top horses don’t. She then won her second start rather dominantly which led to the SA Oaks. Abel Tasman had inherited top Cal three-year-old filly status after Unique Bella’s defection but got dethroned in a huge way here. This race was over half way around the first turn. This amazon dismantled the field and the videos of her works since then, combined with her gallops since her arrival here make her an obvious choice. Her task may have gotten slightly less daunting when she drew a perfect post and two of her main rivals, the afore mentioned Abel Tasman, and Salty drew the 13 and 14 holes respectively. For those gamblers looking for value in this race, I recommend Vexatious. 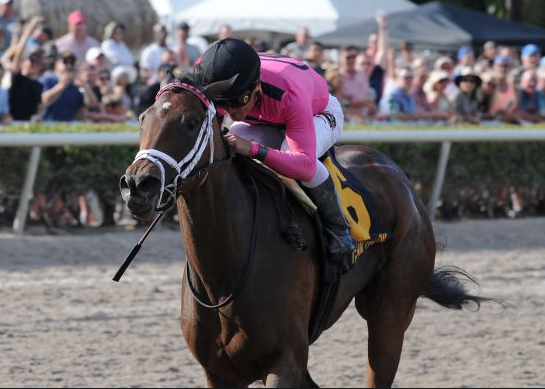 She has always hinted at being a developing talent and, if Paradise Woods runs the pace stalkers into submission, could run late to make the trifecta or superfecta pay enough where you won’t be ashamed to cash your ticket. Now, on to the Derby. 1) Lookin at Lee- long legged late running sort comes from downtown so the rail draw shouldn’t affect him as much as it would others. He is always making up ground and while a win would be a surprise, I can see him hitting the board with the right pace scenario and trip. 2) Thunder Snow- moves like a grass horse, and though this race got opened up in a huge way with the injury to Mastery, I can’t see him having much impact here. 3) Fast and Accurate- it’s hot and dirty time for this hard trying dude. 4) Untrapped- massive eye-catching colt has galloped fine here after the standard easy half mile final work for Steven A but remains a question on ability and distance as far as this race is concerned. 5) Always Dreaming- had a good workout last Friday while needing restraint to not do too much in the early stages of it. Then things started to get complicated. Saturday morning he returned to the track and was more eager than his world class trainer would’ve liked. Sunday morning he was a real handful, throwing his head multiple times and being totally uncontrollable. The exercise rider change and the addition of draw reigns commenced Monday and he has been much better for the most part since then. However, he has parts of his gallops even then that cause concern as to how much controllability he will have Derby day when the draw reigns come off. 6) State of Honor- may very well be a pace factor as he also seems to be a higher than average energy sort, but I think him trying a mile and a quarter will be like if I tried running in the Derby 5k run earlier this week. 7) Girvin- has had much-publicized feet issues this week and did most of his preparations at Keeneland. His local gallops suggest he’s still battling those sore tootsies and I will not be using him Saturday. 8) Hence- flashy chestnut colt has trained forwardly all week. He gets a little warm on his neck, but does not seem nervous at all. Horses are like people. Some sweat more than others. I think he can hit the board but would need a total pace meltdown to win this in my opinion. 9) Iraq- conventional gamblers will say,” I didn’t go to the wedding, I’m not going to the funeral!”… on this colt and perhaps justifiably so, but I can’t knock the video of his works across town or his local gallops. 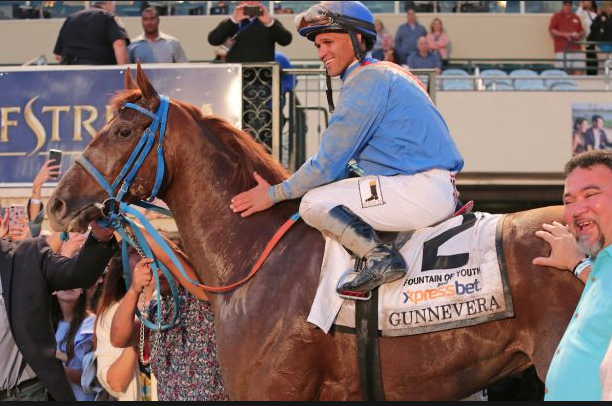 He is a much more developed colt than I saw train all winter in L.A.
10) Gunnevera- slender chestnut has accomplished a lot and had some minor excuses in the Fla Derby but has danced quite a few dances and may be on the other side of midnight. 11) Battle of Midway- arguably ran the best race in the suspect Santa Anita Derby when inexplicably put on the lead with two others in 46:2. Still, he was in front with 50 yards to go. The video of his work with Prat up was decent and he’d be my choice of the California brigade. 12) Sonneteer- had a terrific work over a damp Churchill surface for this race to the point that I can see him hitting the board. A win by a maiden in the Derby would stun me and the rest of the racing world. His owner has three in the Derby and that may be enough to get him to show up at The Downs Saturday. 13) J Boys Echo- reportedly not much of a work- horse, he proved best in company during his last drill while looking moderate. 14) Classic Empire- wowed me in the championship deciding Breeders Cup last year, then had some bumps in the road before rebounding in the Arkansas Derby. Seeing that was only three weeks ago, it was expected and delivered that his one and only work for this race was a half in 49:2. Another that has had his attitude issues, he doesn’t get too exited while galloping. Then again, who am I to question a horse about attitude. 15) McCraken- athletic medium sized colt has done everything right since his so so return in the Blue Grass. He is 3-3 at the Twin Spires and I believe will run his best race Saturday. Whether that will be enough, time will tell. 16) Tapwrit- was on his way to being on everyone’s top 3 list after the Tampa Derby then tossed a Hindenburg of enormous proportions in the Blue Grass. Everything he has done since I’ve laid eyes on him locally suggest he’s going to return to his Tampa form. In a race chock full of possible price plays, he may be the livest longshot there is. 17) Irish War Cry- yet another contender that tossed in a clunker on his way down the Derby trail. He rebounded with an authoritative triumph in the Wood over yet another suspect group. His first day on the track Tuesday he was slightly keyed up but has settled in to gallop beautifully since. If his Fountain of Youth flop didn’t exist he would be a clear favorite, but it did take place and thus he will be 2nd or 3rd choice Saturday. 18) Gormley- took advantage of a perfect trip to capture the SA Derby. Obviously this years California division lost a lot of luster when Mastery went down but in an open race, it will be interesting to see how they perform. 19) Practical Joke- to look at him one would think he could get the ten furlongs but doubts persist as to whether he can. He looks terrific and Saturday will be his judgment day as far as distance. 20) Patch- seems to have a lot of personality and any horse that makes it to this stage with only one eye deserves much props. He was up against to begin with then drew the far outside post so I won’t be wagering on him…but ya can’t help but love the big guy. Worked just before my arrival and it appeared to be a maintenance work, not surprising seeing he will be running back in 3 weeks. There is no question he has the talent to compete in this edition of the Derby, the rub is the quick turnaround and what side of the bed he awakes on Derby day! Seems to be an energetic type judging from his gallops and Johnny V settled him into a nice stride early on. Continued at a good pace, receiving only light coaxing the final furlong and galloped out well. The Godfather matched two big colts who really prefer afternoon exercise to that of the morning and it appeared to work well. Tapwrit was best the entire work, lost a bit of focus after the wire before galloping out in tandem with his workmate. Why he ran so poorly in the Blue Grass is a true mystery but he worked well today. I don’t know what this colts work talents are but I was not thrilled with this move. Came up slightly second best to Made You Look, who may be worth a couple of rubles when performing. Over achiever has accumulated quite a resume but did not impress in this drill. He seemed on the other side of midnight at the wire here. Worked during the busy time of Derby/Oaks session and proved best over his company with his newly fitted blinkers with Rosario aboard. He never runs a bad race and faces his biggest test Derby day. Was well within himself the entire way. 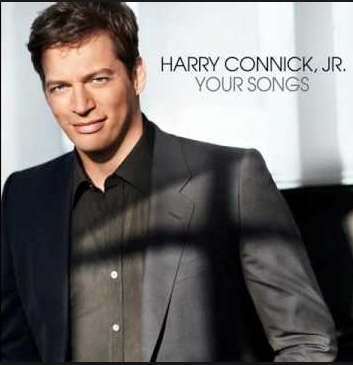 Churchill Downs Racetrack today announced that multi-platinum recording artist Harry Connick Jr. will sing our national anthem at the 143rd Kentucky Derby Presented by Yum! Brands (G1) on Saturday, May 6, 2017. 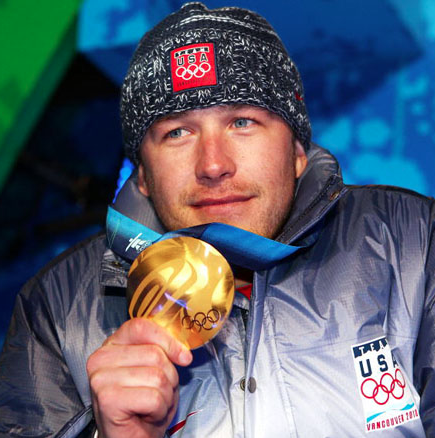 Olympic gold medalist Bode Miller has purchased an interest in Kendall Hansen’s Kentucky Derby Presented by Yum! Brands (G1) hopeful Fast and Accurate, it was announced April 21. 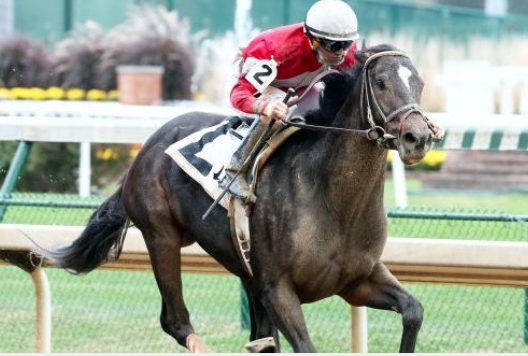 Trained by Mike Maker and bred in Pennsylvania by John Penn, Fast and Accurate won the March 25 JACK Cincinnati Casino Spiral Stakes (G3) at Turfway Park to earn his spot in the Kentucky Derby. The colt is among the only U.S. crop sired by Hansen’s homebred namesake, 2011 Eclipse champion 2-year-old male Hansen. Fast and Accurate has won his last three races, stepping up in class each time. His record stands at three wins and one second in six starts. “These 3-year-olds can improve by leaps and bounds, so I’m hoping we’re one of the ‘leaps and bounds’ and other ones are tailing off,” Hansen said. Immediately after the Spiral Stakes win, Skychai Racing also purchased a stake in Fast and Accurate. They have since sold a portion to frequent partner Sand Dollar Stable. 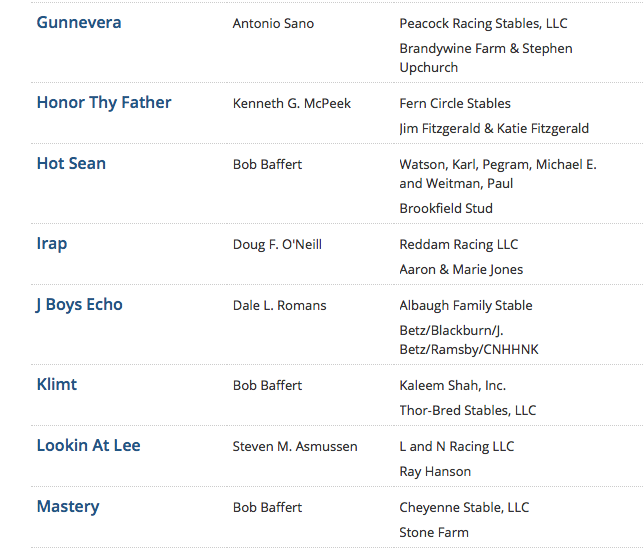 The nom de course of Harvey Diamond and partners, Skychai Racing also bought a stake in Hansen after the colt’s 13-1/4 length score in the 2011 Kentucky Cup Juvenile at Turfway, his third start and third win. Miller also owns a share of Hansen’s homebred colt En Hanse, another son from Hansen the sire’s U.S. crop. That colt is 3-1-1 in nine starts, including a win in the WEBN Stakes at Turfway Park in February. Kendall Hansen retains majority ownership of both colts. He is the four-time reigning champion jockey, is closing in on 100 Grade 1 stakes victories, and just two weeks ago was elected into Thoroughbred racing’s Hall of Fame. When it comes to the sport’s Triple Crown races, however, Javier Castellano has not been nearly as successful. Castellano has just one win from 25 mounts in the Triple Crown series comprised of the Kentucky Derby, Preakness, and Belmont Stakes. The win came in the 2006 Preakness on Bernardini, a victory largely overshadowed by the breakdown of Kentucky Derby winner Barbaro early in the race. Castellano is 0 or 10 each in the Kentucky Derby and Belmont Stakes. He has three seconds in the Belmont, including a nose loss to Creator last year aboard Destin. In the Derby, Castellano has fared no better than a fourth-place finish aboard Normandy Invasion in 2013, a race in which he may have made a premature move. On Saturday, Castellano will try to end his Derby drought when he rides Gunnevera in the 143rd Run for the Roses at Churchill Downs. Castellano won’t be riding for either of his two main clients, Todd Pletcher or Chad Brown, both of whom have runners in the race. Instead, Castellano will be riding for trainer Antonio Sano, who like Castellano is a native of Venezuela. The two never met in Venezuela. They met four years ago at Gulfstream Park when Sano began training in the U.S. Sano is making his Derby debut. Castellano first rode Gunnevera last summer in the Saratoga Special, guiding him to a one-length victory in the 6 1/2-furlong race. Castellano did not ride Gunnevera when the horse finished fifth behind Classic Empire in the Breeders’ Futurity at Keeneland. Castellano was back aboard him for the Delta Downs Jackpot, rallying him from last to first to win by 5 3/4 lengths. In three starts this year, all at Gulfstream Park, Gunnevera has a win in the Fountain of Youth sandwiched between a second-place finish in the Holy Bull to Irish War Cry and a third in the Florida Derby to Always Dreaming, horses he will face again in the Kentucky Derby. Gunnevera had some trouble in the Holy Bull. In the Florida Derby, he broke from the outside post in a 10-horse field. After dropping 15 lengths out of it, he finished third, 6 1/2 lengths behind Always Dreaming. Castellano’s best chance for Derby success came with his first mount in the race, Bellamy Road, in 2005. After winning the Wood Memorial by 17 1/2 lengths at Aqueduct, Bellamy Road went off as the 5-2 favorite in the Derby. Up close to a hot pace while chasing in fifth position, Bellamy Road was in contention turning for home but couldn’t sustain his bid and faded to seventh, beaten 6 3/4 lengths by longshot winner Giacomo. Since then, only two of Castellano’s nine Derby mounts have gone off at odds lower than 10-1. Gemologist finished 16th at 8-1 in 2012, and Normandy Invasion was 9-1 when he ran fourth in 2013. Aside from the Derby, Castellano, 39, has met virtually every challenge. He has 94 Grade 1 stakes victories and 4,666 career wins. 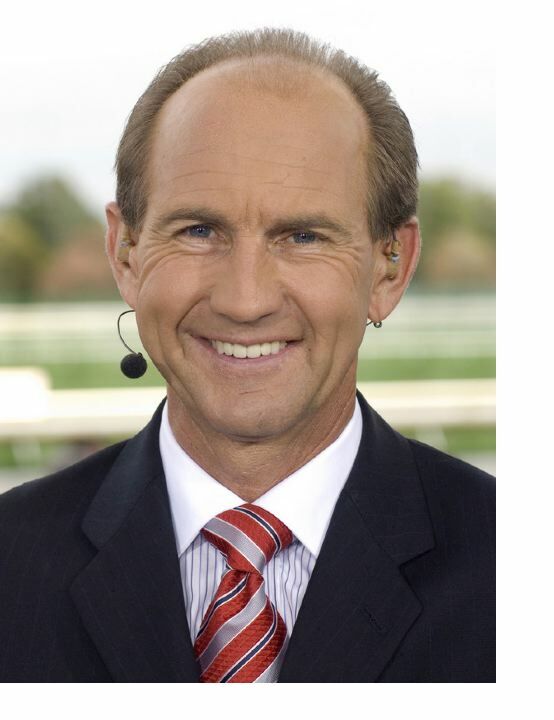 He has won the last four Eclipse Awards as North America’s top jockey, and this summer he’ll be inducted into the Hall of Fame. 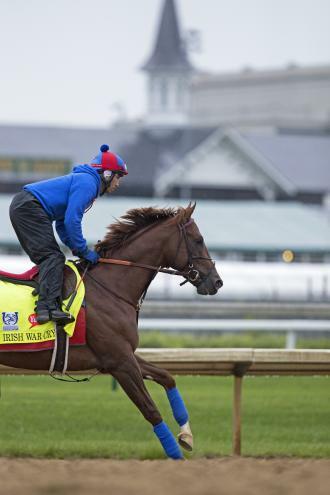 What he’d like to do this Saturday is win his first Kentucky Derby. We’ll be back for the Road to the Breeders’ Cup!